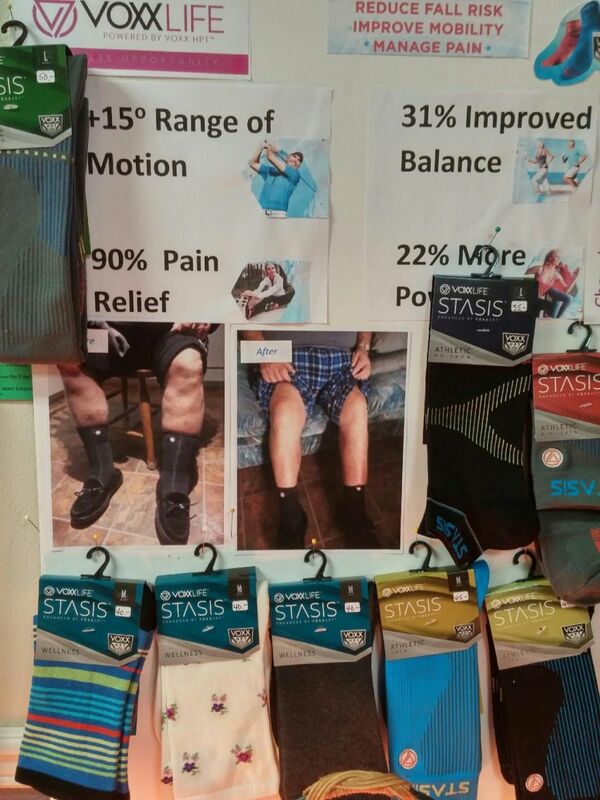 Voxx Socks are proven to reduce 90% of foot pain. They trigger a response that helps the brain maximize its natural pain-fighting mechanisms; increase stability, balance, and range of motion; increase energy; better exercise performance. There are two types of socks - Wellness and Athletic. The Athletic type is a tighter fitting sock, while the Wellness is a looser type. These socks can be purchased at our office. Or go to the website at voxxlife.com/gentletherapiessox.